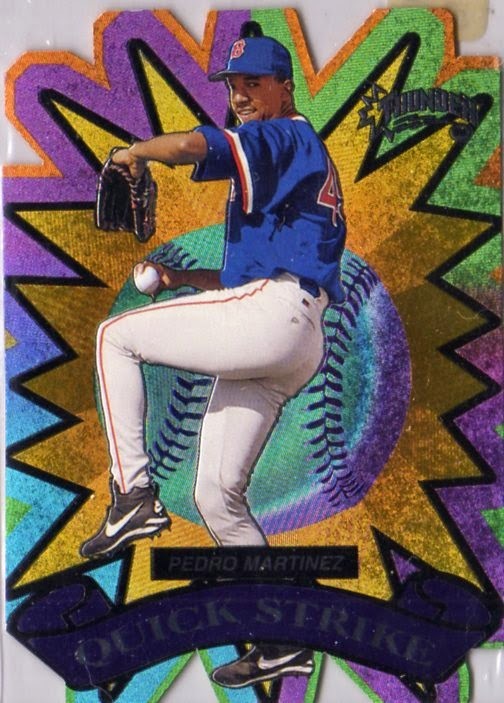 More '90s weirdness inserts to celebrate people actually going into the Hall of Fame while they're alive and kickin'! 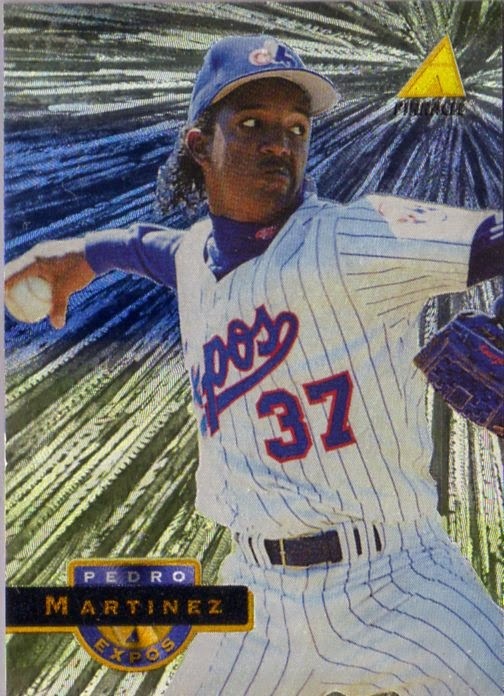 Have some Pedro. 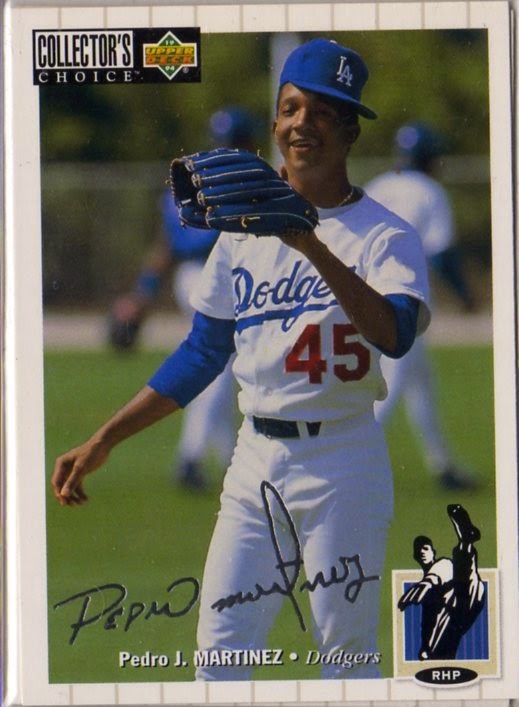 Had to show off the Dodger card where Pedro's clowning around. I think this card got tweeted about 100 times the day of the induction announcement. But how many of them were the Silver Signature parallel version eh? That card right behind it is a double so make me an offer I can't refuse. DUFEX EXPOS GOODNESS. Man I hope Martinez goes in with an Expos cap. On a Dufex plaque. Die-cut micro-foil etched plaques with '90s rainbow color scheme would also be acceptable. Ever heard of Skybox Circa Thunder before? Kinda want a case of it now, don't ya? Up next! You Know Who!